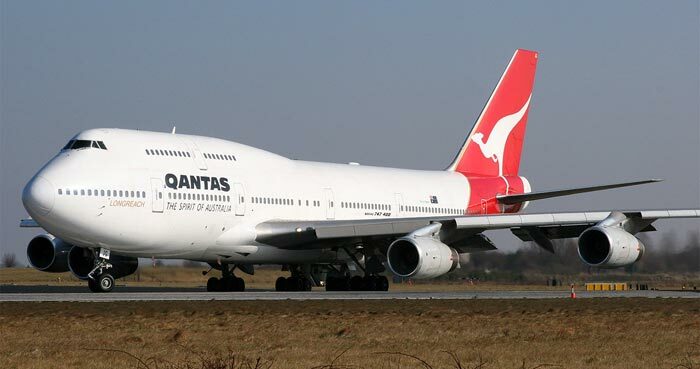 Update October 30, 2011 (USA): Australia’s Qantas Airways resumed flights Monday after a government labor board ordered it to end a dispute with its unions that grounded the airline over the weekend. “Qantas can confirm that all domestic and international services have resumed from mid-afternoon on Monday 31 October,” the airline’s website said. “We are deeply sorry for the inconvenience and stress our customers have faced over the past days and months.” The first planes to depart were an international flight from Sydney to Jakarta and a domestic route from Melbourne to Sydney. Australia’s Qantas Airways has officially grounded its entire fleet today, and stopped all domestic and international flights as part of an ongoing and messy dispute with the airline’s three unions. Qantas, which is often recognized as one of the safest airlines in the world, has been fighting with the Australian Licenced Aircraft Engineers Association (ALAEA), the Australian International Pilots Association (AIPA), and the Transport Workers Union (TWU) over pay, working conditions, and the continued outsourcing of jobs internationally. In addition to grounding its 108 aircraft in 22 airports around the world, as of 8pm on Monday the airline will also be locking out all of its domestic employees who are involved in the dispute. Follow @qantasmedia for news or @qantasairways to share information. You can also visit them at their Qantas Facebook page. If you are away from home and between flights today, Qantas will arrange accommodation, meals and transfers for you. If you are away from home and beginning your journey today, unfortunately you will need to source your own accommodation we will reimburse you for reasonable out of pocket expenses including accommodation, transfers, meals and incidentals up to a total value of AUD 350 per person per day. A limit of AUD 250 per night for accommodation and AUD 100 for incidentals (meals and phone calls) per person per day applies. Qantas will arrange accommodation, meals and transfers for you. Full details of how to claim your reimbursement, including an online claim form will be available on qantas.com shortly. Please ensure you keep all receipts in order to make your claim. The adjustment to flying schedules resulting from the grounding of Qantas services from 1700 AEDT Saturday 29 October 2011 may impact the travel arrangements of some Qantas customers. For the latest flight status information please refer to our Flight Status page. The following commercial policy options are available to Qantas customers holding a valid Qantas (081) ticket issued on/before 29 October 2011 who are directly affected by schedule change activity (ie cancelled and retimed flights resulting from the grounding of Qantas services) for travel from 1700 AEDT 29 October 2011 up to and including 31 October 2011. Rebook to alternative Qantas flights (including QF Codeshare flights operated by BA). – Via the most direct routing using Qantas. – Return to the origin port via the most direct routing using Qantas. Change Destinations. The value of the existing ticket can be used towards the purchase of a new ticket. If the new fare is more expensive than the existing ticketed fare, the fare difference is payable by the passenger. Applicable surcharges, fees and taxes may apply. Retain the value of the ticket in credit for future travel within 12 months from the original ticketed date of departure. If the new fare is more expensive than the existing ticketed fare, the fare difference is payable by the passenger. Applicable ticket surcharges, fees and taxes may apply. – For customers who have commenced their journey a full refund of the affected sector(s) will be available. – For customers who have not commenced their journey a full refund will be available. Customers wishing to rebook to another carrier in the same class of travel may do so. Qantas will reimburse the difference between the cost of the customer’s alternate ticket (in the same class of travel) and the value of their refunded Qantas ticket. Changes permitted to tickets issued on/before 29 October 2011 for travel from 1700 AEDT 29 October 2011 up to and including 31 October 2011. All changes must be made prior to departure. Changes permitted on the day of departure. New travel dates must be within 12 months of original ticketed date of departure. Any third party costs/penalties, such as hotel or other ground operator fees incurred will not be waived by Qantas. All other rules and conditions of the ticket remain unchanged. This policy also applies to customers who are booked on Codeshare flights operated by Qantas. For un-ticketed bookings, flights can be rebooked subject to availability and tickets issued in accordance with fare conditions. Refund are available, without fee, for Qantas (081) tickets issued on/before 29 October 2011 where original ticketed travel was between 1700 AEDT 29 October 2011 and 31 October 2011. This excludes fees imposed by suppliers or third parties. Refunds requests must be submitted no later than 31 January 2012. Passengers travelling on Qantas and Qantas code share operated by Jetstar Classic Award redemption tickets are entitled to the same options and conditions as listed above.